People in your area are searching for services you offer. If you're not being found, you're leaving money on the table. 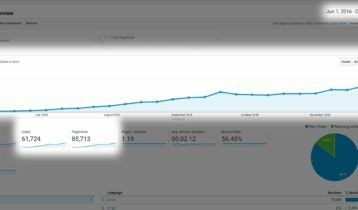 We generated 86,288 unique visitors in 3 months for one client without ads. Meet Michael. 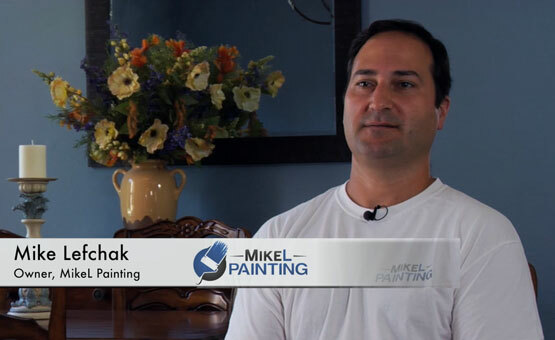 He's the owner of a successful painting company. His previous website was not providing the exposure needed to grow. He wanted to consistently generate new customers online and that's when he found us. Within a few months of working together, he quickly realized how many customers he wasn't getting due to his prior online presence. Recently, he expanded his company to keep up with the amount of new business. His success story is one of many. Watch the video to hear what he has to say. ARE YOU READY TO START GENERATING MORE CUSTOMERS? Our first step is the most important. 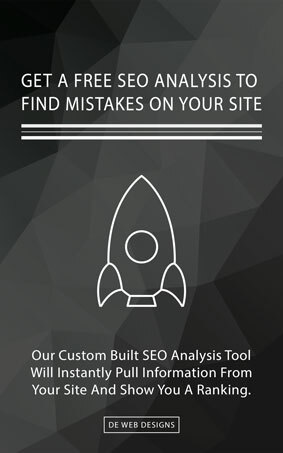 Before we begin, we will run a series of audits using your website's analytics. This gives us the information to make data-driven decisions for your new marketing strategy. Run an in-depth search engine optimization (SEO) analysis for you and direct competitors. 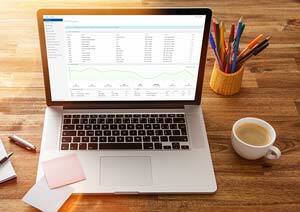 Analyze your analytics to make data-driven decisions. Run a comprehensive audit to find solutions that fix problems found within the analytics. Examine the primary bottlenecks and come up with a detailed plan of action. Once this is complete, we will have a customized solution for your online marketing strategy. This may be drive more traffic, create new customers, generate more business or a combination of them. Taking the customized solution from phase one and begin designing home pages. Using the multiple designs and morphing them into a single, custom design. 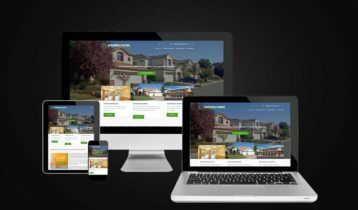 Building the home page into an actual website to get ready to show you. 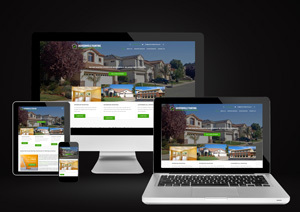 Make the website fully responsive across desktop, tablets and cell phones. Get approval from you on the home page to start building the rest of the website. Build the other pages and create the forms so customers can reach you. Once everything is done, we make the new website live and phase three begins. If your website isn't on the first page of search engine results when a potential customers looks for a service you offer in your service area, you are losing potential customers. Let us explain. There are two types of people who find your business online. The first is simple: people who know about your business. They search for your business name specifically, such as Joe's Painting. The second is what most business owners don't understand, and often contain an extremely higher percentage of people. They are the people who have no idea who you are. If someone requires your services and doesn't know who to call, they will search. They use broad terms like Painters in [your city]. If your business is not on the first page of search engine results, you are losing money. Plain and simple. We got a bit sidetracked on phase three, but you should know SEO is important — no matter what business you're running. It is the foundation for consistently generating new customers. Phase four starts shortly after your website goes live. SEO is a continual monthly process, so there is really no end to it. 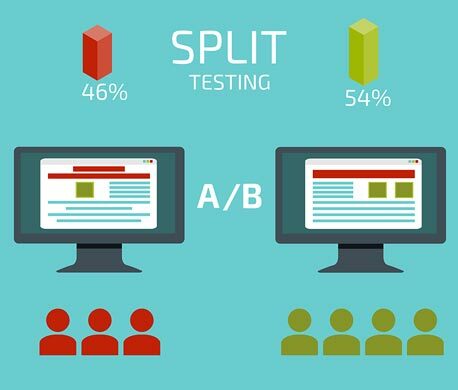 Conversion rate optimization is all about getting a higher percentage of people to take an action. That action can be trying to get your visitors click a specific button, submit their information through the contact form, make a purchase, download something or whatever you want them to do. To achieve this, we test different designs, colors, text and more to see what's working and what isn't. Like SEO, converion rate optimization is a never ending cycle either. There is always something to modify, slightly tweak or overhaul in an attempt to get more visitors to take an action. Don't click this link. You want more business without waiting for it to come through SEO or a referral. You have a new service or product you want to promote to your community. You want to highlight your recent appearance in the news or a local non-profit. You want to gather emails of potential customers that you can use down the road. And so many other reasons! You are able to run an ad on just about anything. 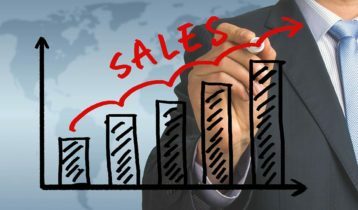 Are You Ready To Get More Customers? Contact Us Today! Based in Jacksonville, Florida, DE Web Designs is a full service internet marketing company that specializes in creating new customers for your business. Through professional, user-friendly web design and our proven search engine optimization (SEO) strategies, we work with businesses locally and nationwide to promote company growth. With over eight years of experience, we have results that speak for themselves. We are constantly updating our client’s web presence, expanding their customer reach, and increasing their search engine rankings within Google, Bing and Yahoo. Aside from providing our clients outstanding results, their satisfaction is vital to us. We strive to make changes within 24 hours and answer any and all questions they have. 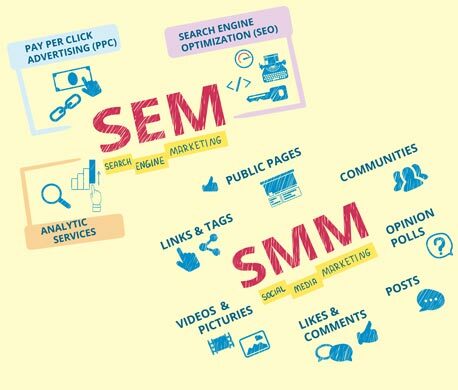 What is search engine optimization, or SEO, and how can it help your business grow? When a potential customer is searching for services you offer, the search engine they are using lists several different businesses. If your website is not optimized and not listed within those results, your business just lost a potential customer because they couldn’t find you. When your website is optimized, people who are searching for services you offer will find your business, visit your website and will contact you. Search engine optimization pays for itself! We excel at responsive web design so your website will look astonishing from cell phones, tablets, laptops and desktop computers. Did you know over 46% of all searches online are taking place exclusively on mobile phones? Is your website mobile friendly? Chances are potential customers won’t wait for an improperly formatted website to fully load before going back to the search results and finding your competitions easily loadable and responsive website. Plus, mobile responsiveness is a ranking factor in Google! This means that if your website is not responsive, your competition is ranking above you and taking your potential customers. 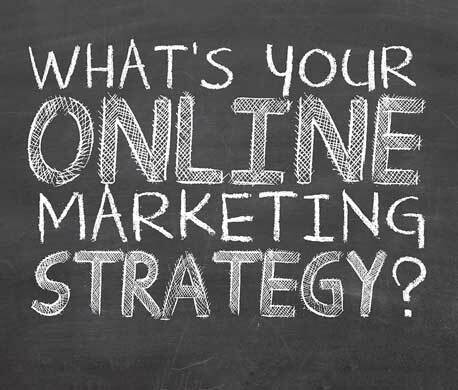 Don’t you want your business to be ahead of your online competition? Shouldn’t your website generate your business a profit instead of a cost? 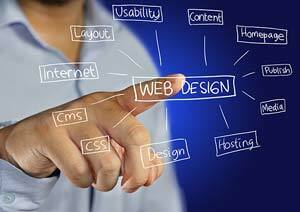 We offer outstanding search engine results, excellent customer service, and we will build your business an aesthetically pleasing website across all devices. 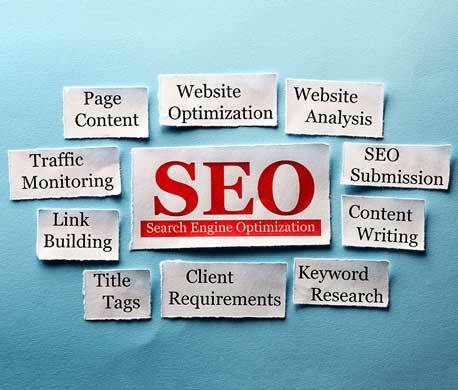 We also offer a first page SEO guarantee! If you want your business to dominate your competition, contact us today! 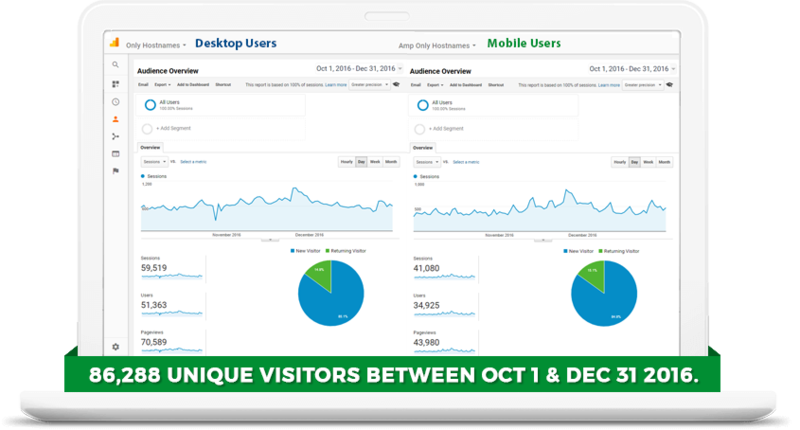 We took on a client with an idea and turned it into a massive traffic generating machine. 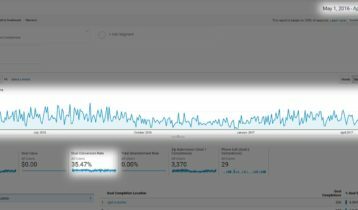 For over a year, this client has been making 35% of their visitors do exactly what they want. When do you know to invest in building your own software? This client knew it was time. Search engine optimization, or SEO for short, is how we get your website to rank on search engines like Google, Yahoo and Bing. If you do a search for your business name, your website should show up. If it doesn't, that's not good. When we refer to SEO, we are talking about ranking for searches that are not your specific business. When someone doesn't know your business, they will search for the service they need and the area they're in. An example of a like this can be: Painters in Jacksonville. If your website shows up, you will get targeted visitors who are more likely to convert into a paying customer. 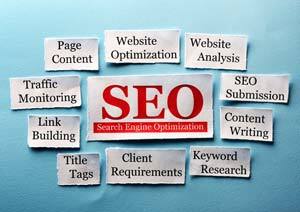 Learn more about search engine optimization here. It happens all the time. You're talking to someone about something you're unsure about. You pull out your phone and Google it. You click a result and see a cheap, old or outdated website and almost immeditaly click back. Sound familiar? Do you ever wonder if potential customers get that same first impression of your website when they first see it? We build professional, attention-grabbing websites that give potential customers a positive first impression. 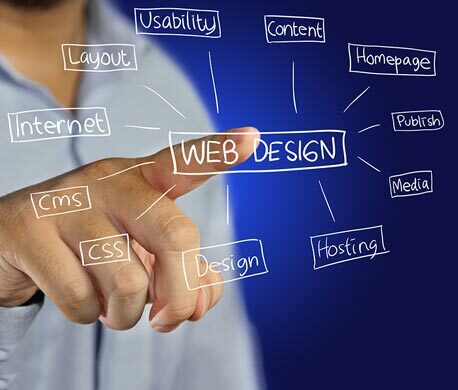 When the decision of which business to choose comes down to your website and a competitors, are you confident in your current website's design? Occasionally we like to take a break from building websites and dive into something a bit more complex, like a completely custom web application. We have built full-scale lead tracking platforms, quoting and management applications, custom follow-up email applications, custom shopping carts and so much more. Whatever web application you currently have floating around in your head, we most likely can build it. Due to the complexity of some applications, we can only handle a certain amount at any given time. If you contact us, we can see if we're a good fit and provide a quote. When is the last time you left home without your cell phone on purpose? If you're like a majority of americans, you have no idea. Right now, it's probably within arms reach. The same goes for your potential customers. They pull their phone out countless times each day. If they happen to come accross your website, is it mobile responsive? A responsive website adapts to the screen size of the device it's on. When you're viewing a website on your desktop and you shrink the screen, the entire layout adapts. Every website these days needs to be mobile-friendly. Plus, Google uses it as a ranking factor! When you really want to get more customers, and are willing to spend money to get them, pay per click marketing is for you. It is exactly what is sounds like. Google, Yahoo, Bing, Facebook, etc. will put your ad on their platform and every time someone clicks your ad, you pay a small fee. 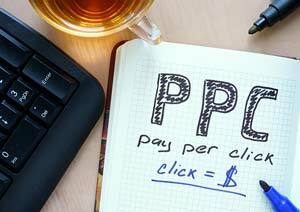 The great thing about PPC campaigns is they are fully trackable. Unlike traditional forms of advertising, we have full control. We are able to track where people come from, what pages they visit and know exactly if the person contacting you is from an ad — even if they call you! 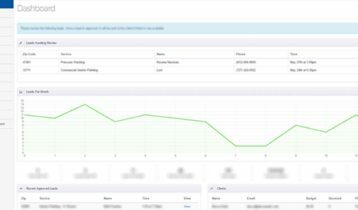 This enables you and us to make data-driven decisions on the PPC campaigns to make them profitable. Timing is everything when it comes to PPC. You cannot expect to get a great landing page built in a single day. 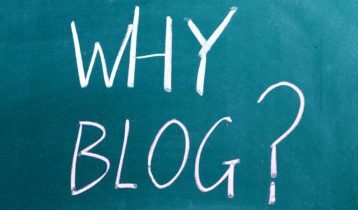 Most businesses do not realize that for many potential new clients, your website is their only connection to your business.